Maths Tools Dice, spinners etc. for playing games. Banton Surge Bingo and other things. Images for your blogs, presentations etc. Remember you should NOT just google for pictures. You need to find out if you are allowed to use the pictures. Even if you can you might have to add attribution. Attribution is where you tell who took the photo and how it is licensed. Morguefile.com free stock photos these are all free to use without attribution. Pics4Learning | Free photos for education You need to read and find out what attribution you can use. CC Search You need to visit the image page and copy the attribution. FlickrCC Stampr This will find photos you can use and add attribution automatically. This google search will active the advance search for images you can use, but you still need to find where the image came from and get the attribution! Remember don’t put photos of people that they would not like to be seen and do not identify yourself or other classmates. Banton Birthday You need to log on to glow. It is good to find out what other children are doing by reading their blogs. You could leave them a comment, and take a note to tell our class about interesting posts. Burravoe Primary School in Shetland, is smaller than Banton Primary! Start with a greeting Remember to address the blogger by name. Add New Facts If you know something about the topic, you can add more factual information in your comment. End with a Question Try to start a conversation. Ask the blogger a relevant question and hopefully they will reply. Proofread Your Comment When you blog, many people may be reading your posts and comments, so it is very important to proofread. 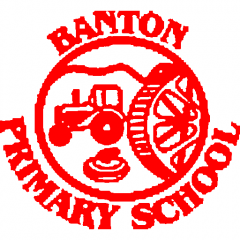 This is the class blog of primary 4-5-6-7 in Banton Primary in North Lanarkshire. Currently it has some links to our new ePortfolios and some links. You need a Glow logon to see the ePortfolios.